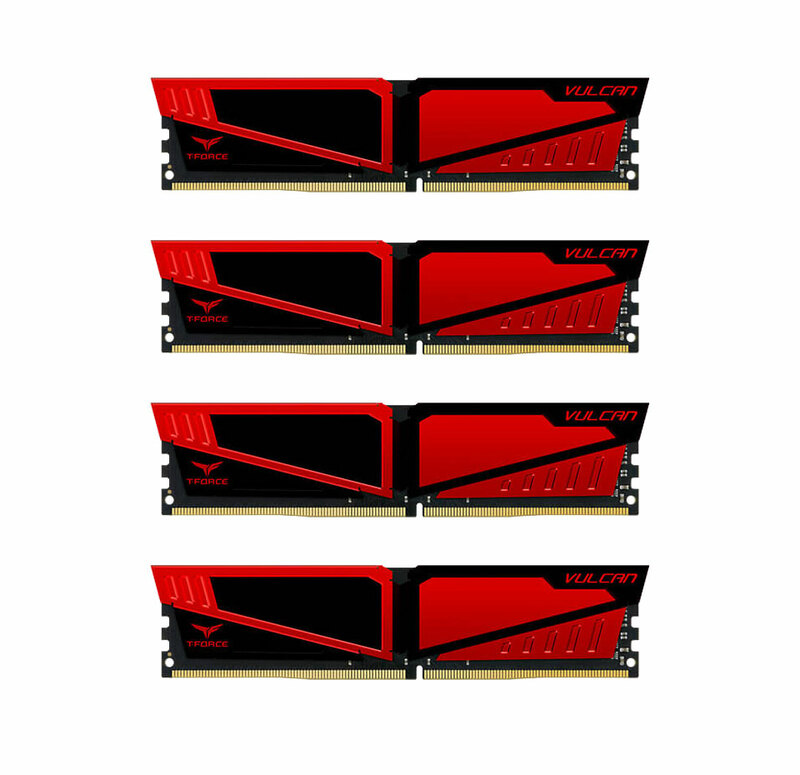 Team T-Force Vulcan TLRED432G3200HC16CQC01 (4x8GB), 3200MHz DDR4, CL16-18-18-38, 1.2V. The Team Group design team had built a heat spreader with an all new exterior design concept. Not only the dual colours design is eye catching, but the asymmetric cutting also displays VULCAN’s unique style. 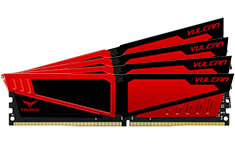 All VULCAN series support Intel XMP 2.0. It is only one step away to experience the high speed sensation of overclocking.